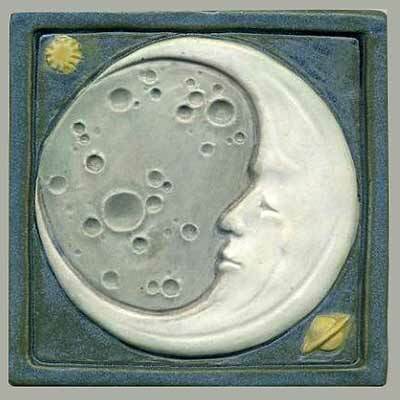 The Moon tile is 6" square. The surface is textured with craters and the moon's face stands in high relief. We offer it in any single color or stain or select your own multi-color scheme. 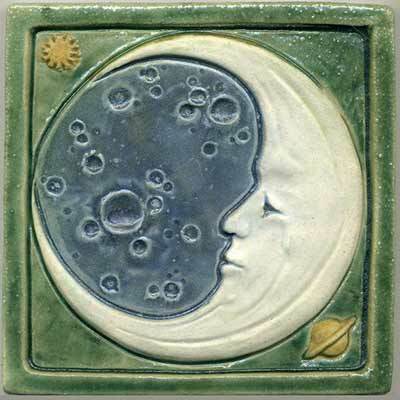 The Moon is a companion tile to the 6" Sun. Colors shown: blue-grey background with light grey craters and white face; pine green background with blue craters and white face.